Neon art adorns Rolex expertise. What initially appears daring, soon turns out to be a fortuitous combination. 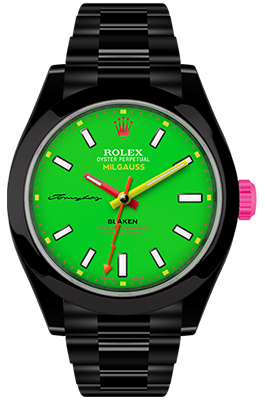 The German-American designer Tomyboy has immortalised himself with his famous fluorescent colours on a Rolex Oyster Perpetual Milgauss. For the artist, no colour is too loud, no colour combination too strident. 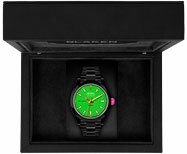 The poison-green dial and neon-coloured hands - one yellow and one red - allow the watch to glow in the dark like a cat's eye. The housing and the wrist band have been personalized in line with the Blaken process – the winder too, although this has been speciallyfashioned for Tomyboy in brightest pink. The Blaken Rocketbyz is not for shrinking violets or little grey mice. 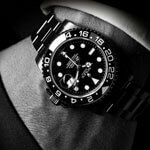 Anyone who wears this work of art on their wrist will stand out and be the topic of conversation. 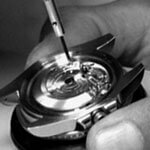 The back of the watch carries the Tomyboy signature. 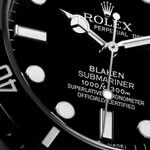 The Blaken Rocketbyz is the first and only Rolex in the world to shine in UV light, which is a special honour for Blaken. 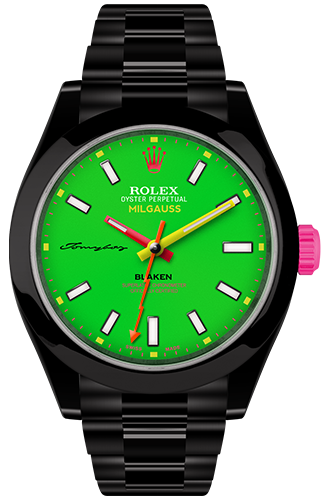 Typical of the unusual Milgauss model is the lightning-shaped second hand, which only turns on 25 Blaken Rocketbyz watches worldwide. 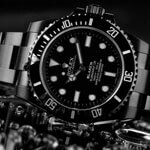 RocketbyzNeon art adorns Rolex expertise. fashioned for Tomyboy in brightest pink. 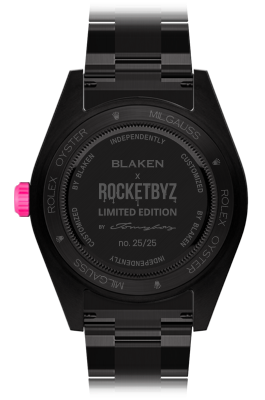 The Blaken Rocketbyz is not for shrinking violets or little grey mice. Anyone who wears this work of art on their wrist will stand out and be the topic of conversation. The back of the watch carries the Tomyboy signature.